Stabilized zinc phosphate corrosion inhibitor designed for Reverse Osmosis permeate with low to moderate alkalinity. Protects steel, copper, brass & lead. Polyphosphate-based corrosion inhibitor and antiscalant for potable water distribution piping. Low zinc formula minimizes load on wastewater treatment plants without sacrificing the invaluable benefits of cathodic protection. Silicate-based potable and hot water system corrosion inhibitor for use with low to moderate hardness water. Zinc-orthophosphate based corrosion inhibitor provides powerful cathodic protection in addition to forming a protective anodic film on steel, copper and brass metal surfaces. Eliminates red water, protects against release of cement from water mains, and prevents leaching of lead into the potable water supply. Zinc-orthophosphate based corrosion inhibitor for use with potable water distribution systems. Polyphosphate/orthophosphate blend for corrosion inhibition in potable water distribution systems. 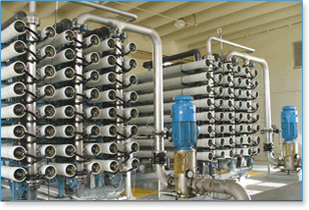 Polyphosphate/orthophosphate corrosion inhibitor for the treatment of potable water systems. Highly effective at inhibiting lead and copper corrosion. Closed loop nitrite-based corrosion inhibitor for protection of steel and yellow metals. Closed loop nitrite-based corrosion inhibitor for protection of steel, yellow metals and aluminum.